The Fed Express, the Swiss Maestro, the Mighty Federer: these are just a few of the hundreds of nicknames forged over decades of celebration around one of, if not the, greatest tennis players of all time, Roger Federer. Born on Aug. 8, 1981 in the mountains of Basel, Switzerland, Federer began his tennis career at a young age, and it took but 18 years for him to earn the title of a professional. At a young age, Federer took home the Boy’s Wimbledon Single Title, and from that moment on his name became one of highly-valued recognition. Despite being over 30 years old, Federer continues be a force to be reckoned with in his sport, and in recent events, he has proven himself to be a legend. On Sunday, Jan. 28, Roger Federer achieved another historic milestone. After over three hours of intense match play in the 113th Australian Open Finals, he became the first professional male tennis player to earn 20 Grand Slam Titles. Over the course of the two-week tournament, Federer took down a number of highly-ranked professionals including Richard Gasquet in the Third Round and Tomas Berdych in the Quarterfinals. It was not until a warm Sunday after that Federer took down No. 6-ranked Croatian Marin Cilic in a momentum-swaying five-set match, 6-2, 6-7(5), 6-3, 3-6, 6-1. 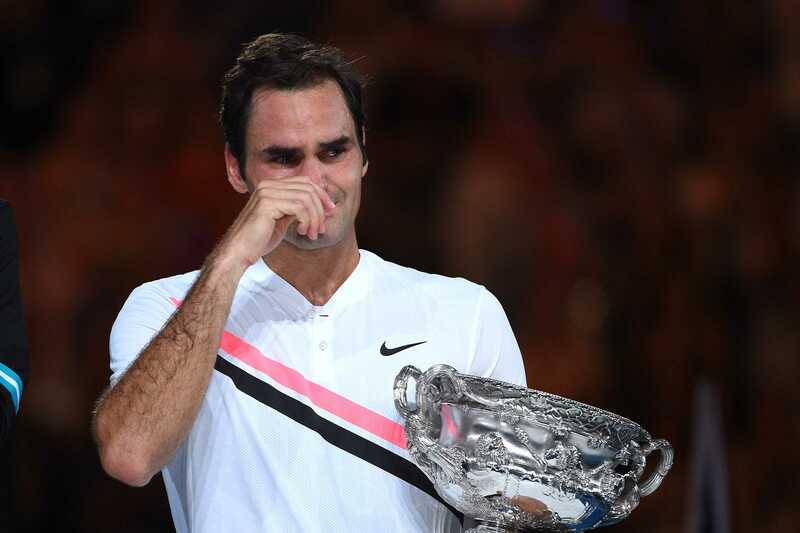 After it was all said and done, Federer could not help but let the tears flow. With this title, Federer now owns six Australian Open Titles, accompanied by eight Wimbledon Titles, five US Open Titles and one French Open Title. He continues to lead the ATP Tour with the All-Time Most Grand Slam wins, with the next-highest professionals being Rafael Nadal with 16 and Pete Sampras with 14. Federer now sits on a comfortable pile of over $115 million in prize money that does not even include his endorsements from highly-esteemed companies such as Wilson, Rolex and Gillette. With the momentum on his side and his confidence at an all-time high, there seems to be no stopping this tennis powerhouse. His next tournament appearance will be at this year’s ATP Rotterdam in the Netherlands. Spectators can only wait and see what else Roger Federer has in store until he returns to Paris for the 127th French Open in hopes of winning his 21st Grand Slam Title.